What Does a Dentist of Endodontics Do? Save your smile with a root canal specialist! Have you ever experienced sensitivity to hot or cold food and beverages? Do you notice a sharp shooting pain while biting into food? 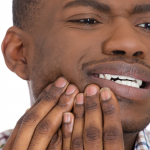 Do you feel a dull throbbing pain in your upper teeth and jaw? If you’ve experienced any of these symptoms we hope you made an appointment to see your dentist immediately. Tooth pain like this can be an indication of something more serious going on beneath the surface of your tooth. If you did see your dentist about your toothache chances are they referred you to a dentist of endodontics, also called an endodontist. Endodontists are dentists that have completed an additional two or more years of training specializing in tooth pain, root canal treatment, and other dental procedures that involve the interior of the tooth. 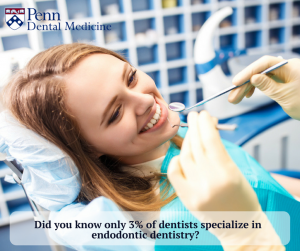 According to the American Association of Endodontists, only 3 percent of dentists are endodontists. When you see a dentist of endodontics you know you’re seeing a uniquely-trained specialist for tooth pain and root canal procedures. 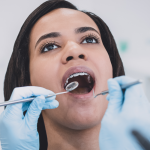 The main goal of an endodontist is to save your natural teeth, and your endodontist will look at all possible treatment options to determine the right endodontic procedure for your smile. Endodontic dentistry specializes in the interior of the teeth. 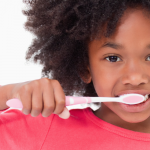 Specifically, it focuses on the diseases of the tooth pulp and the supporting structures. To better understand how endodontists save smiles, it’s good to know a bit about the anatomy of a teeth. The outside layer of a tooth is composed of a hard material called enamel. The hard layer of enamel is supported by an inner layer called dentin. Dentin is what forms the bulk of the tooth under the enamel. 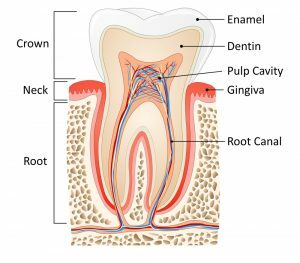 In the center of the dentin is a soft tissue known as the pulp chamber or tooth pulp. When the pulp has been damaged by infection, inflammation, decay,or a cracked tooth an endodontist will often try to save the tooth through an endodontic treatment called a root canal. During a root canal procedure, the endodontist cleans and shapes the area by removing the nerve and the pulp from the pulp chamber and root canals. Once the pulp chamber and root canals have been cleaned out, the endodontist will fill the space with “gutta-percha” a rubber-like material that replaces the damaged pulp. The final visit for your endodontic procedure will be the placement of a crown or another type of tooth restoration. 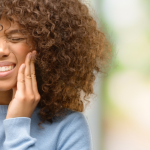 If you’ve been experiencing any kind of tooth pain for a prolonged period of time, or if you’ve experienced any of the symptoms mentioned above, it’s time to see a dentist of endodontics. Contact Penn Dental Medicine at (215)898-8965 and learn how you can become a patient.